My Latest Resto Project. C & V & cycling-related. Progress pics above. 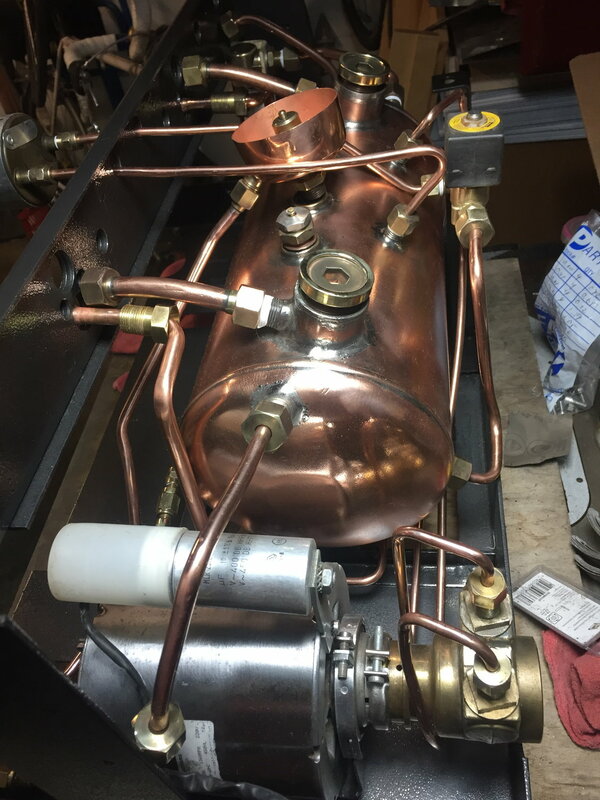 Will apply clear lacquer to boiler and motor before reassembly. Taking the fasteners to hardware store to replace the rusty ones with stainless steel or brass. Placing an order for gaskets etc. This machine led a hard life. 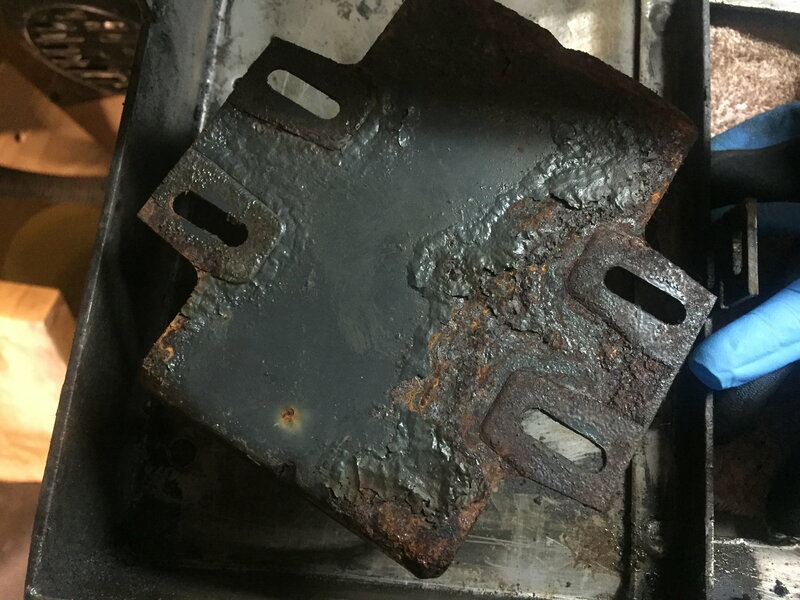 Heating element gasket leaked, causing scale on boiler exterior and pitting rust on the floor of the frame in that corner. Motor casing was also rusty. Lots more rust where the motor mount sits flush on the frame floor. There will be some patina on this machine. This model is still made. Here's a still from a recent Elektra video. Great progress! My Elektra A-3 single group has been a joy for the past 22 years. They are top quality, both mechanically and aesthetically. Well I kind of eff'd up. Buffed the boiler as you see above. 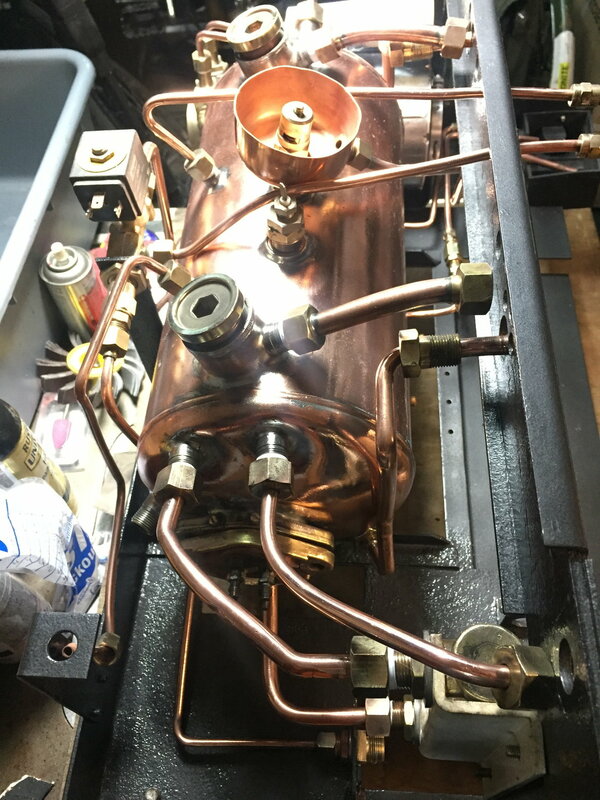 Then I sprayed it with clear lacquer to protect from oxidation, but didn't do it right (too cold in garage) and the boiler is now a shiny satin copper. I am disappointed but am going to stop obsessing for now and proceed with reassembly. I can always remove the lacquer with acetone, even after the machine is in operation, and try applying lacquer again. 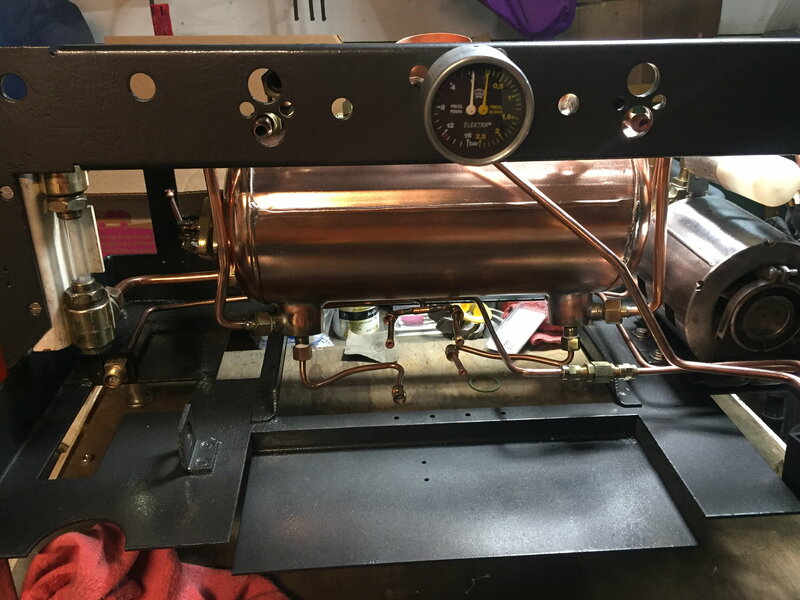 I sprayed boiler with clear lacquer but it was too cold in the garage and the lacquer ended up more of a satin finish, too bad as the naked boiler was nearly a mirror finish. I might use acetone to strip off the lacquer and try again. I was worried I wouldn't get the lines in the right places but it was easy enough. Fittings not tightened down yet. Groups, as found. 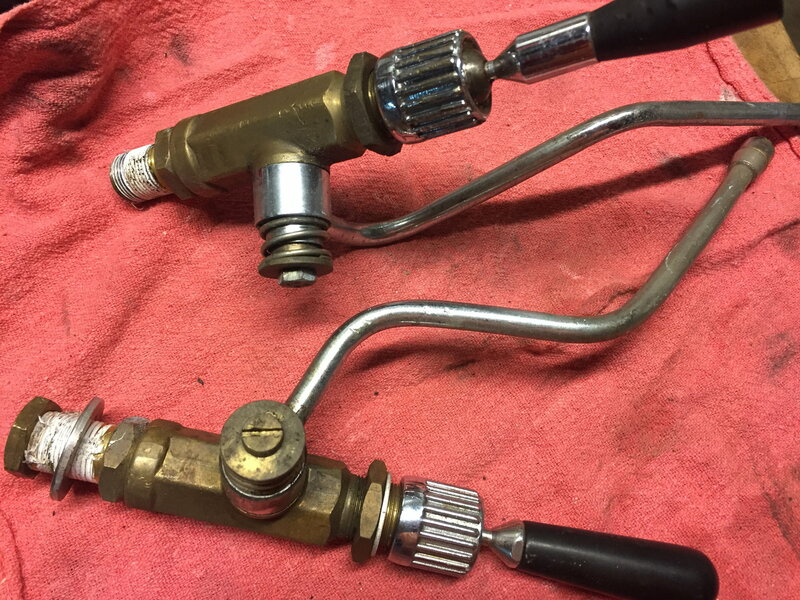 I am not sure if these should be completely disassembled and every o-ring replaced, or if they should simply be cleaned up and then replace stuff if they don't work. Valves as found. I need to find a used hot water valve. Here's where we are. Going to turn to the groups and valves now. Then the electrical and last the exterior. You're doing some amazing work!!!! It will almost be a shame to cover up all that copper work. I picked this up a couple of years ago, hoping to build up an espresso cart. Or, perhaps merging coffee with another small business. But, alas, I stopped drinking coffee within a few months of that. I still have my niece in mind who might be just about old enough for a summer job. 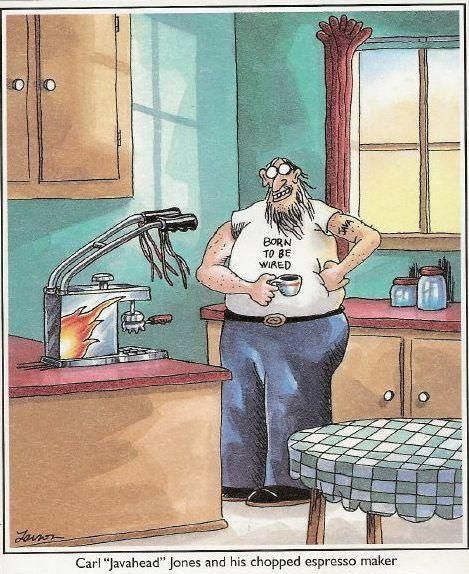 I'd like to preheat the hot water with solar. I suppose I'm living in a lost time, but when I was in Italy, there were no button operated espresso machines. No one button does all machines. It was all these lever operated machines. One note about the old machines. They were all made for short cups. You could probably rebuild for tall cups if you desired. Four M4 steel screws are rusted and broken off in the group bodies. These are supposed to be brass screws but there's a lot of bodgy stuff been done to this machine. Sky is going to help me drill out and retap the holes and I'll use stainless bolts. 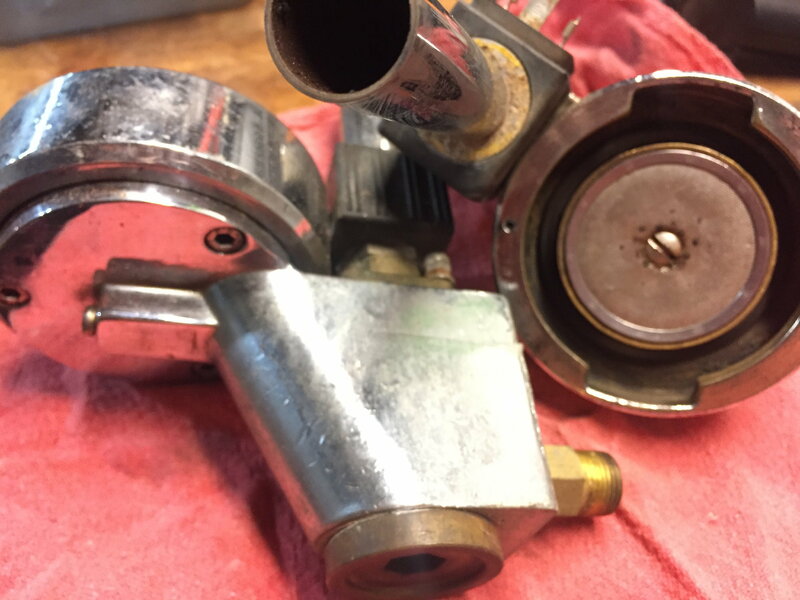 One of the group solenoids and one of the valves look bad and replacements are on order. All the gaskets look pretty perished. All stuff we're used to in C&V, eh? However, all they do - AFAIK - is control how much volume of water is delivered to the group. There are flowmeters that measure the volume and solenoids that open and close the valves. So my backup plan, if the electronic controls don't work, is to replace with something homebrew. I don't know anything about Arduino computers but I'm sure it wouldn't be toooo hard. Thank you! I didn't realize Gugificazione extended to espresso machines. That's a very Italian business empire you are building! Well... as I mentioned, it hasn't particularly been a problem since I pretty much quit drinking coffee a few months after the purchase. I do drink some decaf, but don't drink much at home. The machine really is a commercial size. It might be nice for a group event, but I'm not sure I could drink 5 gallons of espresso in a day. At some point, I should probably tear it down and clean and inspect everything as you're doing. Double check gaskets, seals,etc. That is a good point, if I do get it hooked up, I may need to find a more open place for it. 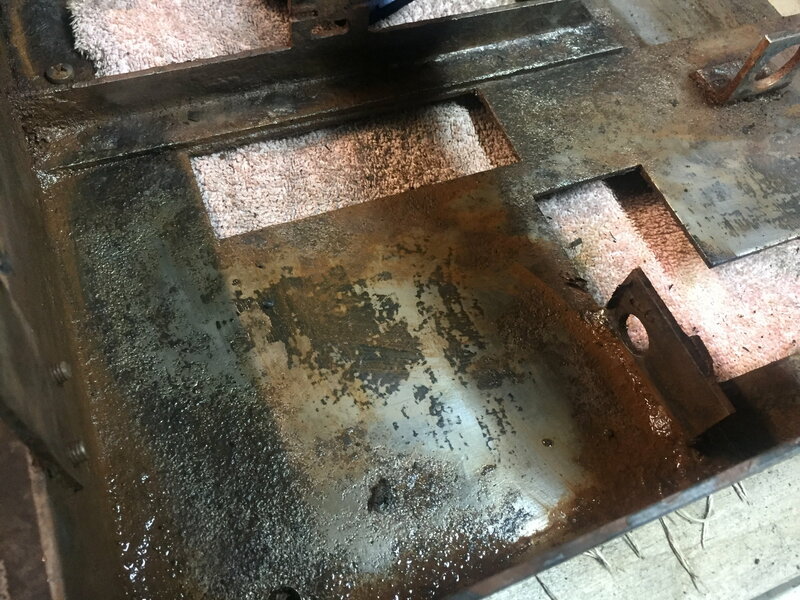 Are you redesigning yours so the inside copperwork will be visible once it is assembled? Or is that the thing now, to leave the insides skeletal and open? How will the lacquer deal with heat? It shouldn't get that hot, but would repeatedly hit boiling, or a little over boiling. Hopefully the electronics aren't that complicated. Let's see, yours is a 1993... hopefully not fully computerized. I'd anticipate that behind your button covers, you will find a row of small cube shaped buttons. In some cases, those little cubes can be disassembled and cleaned without disturbing the underlying circuitry. Or, should only cost pennies to replace. I'm not sure how they would have achieved flow and dosing, but it could be rather simple. Electra may also be able to provide complete wiring diagrams. 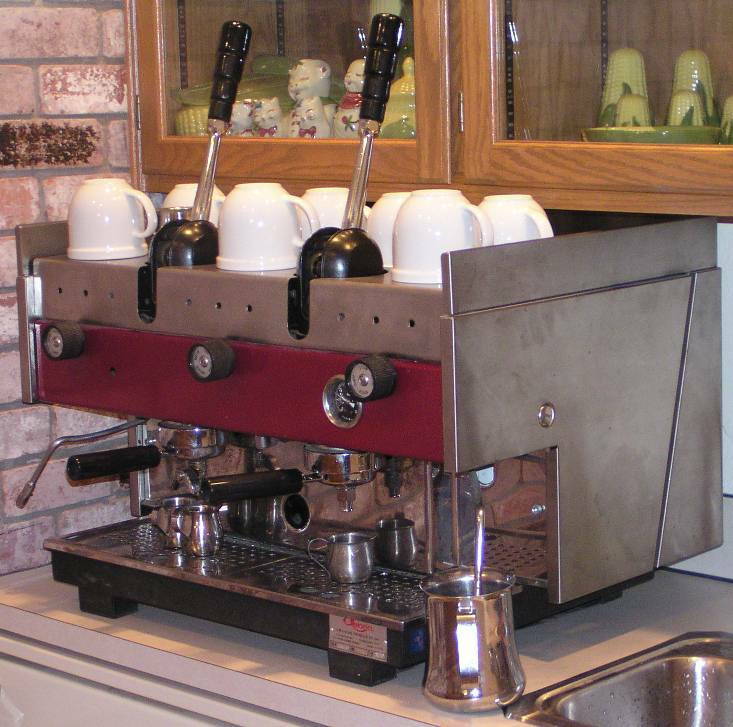 Lacquer should be fine, cookware and coffee makers are commonly lacquer coated to protect brass and copper. 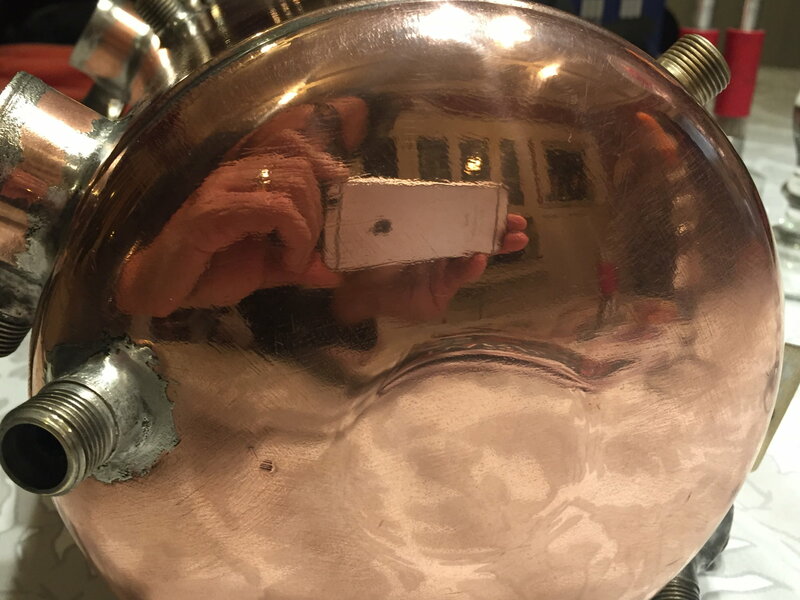 Remember "Revereware" pots and pans, from our childhood, the "copper bottom" cookware? My grandmother liked that stuff. 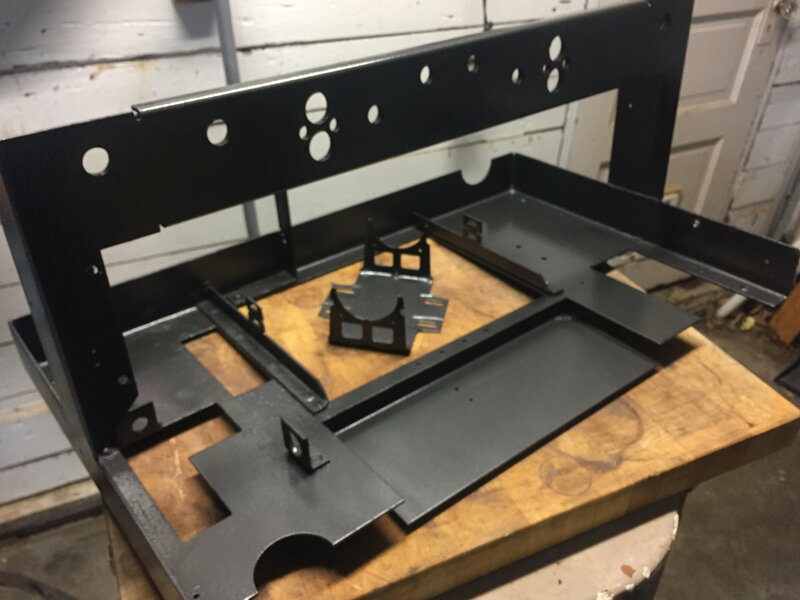 I had thought about plexiglass, but would be concerned about heat and plastic, especially heat+plastic+loading it down with weight. I've been shocked many times by 110V power, and lived to tell the tale. It worries me, but hurts less than an electric fence. 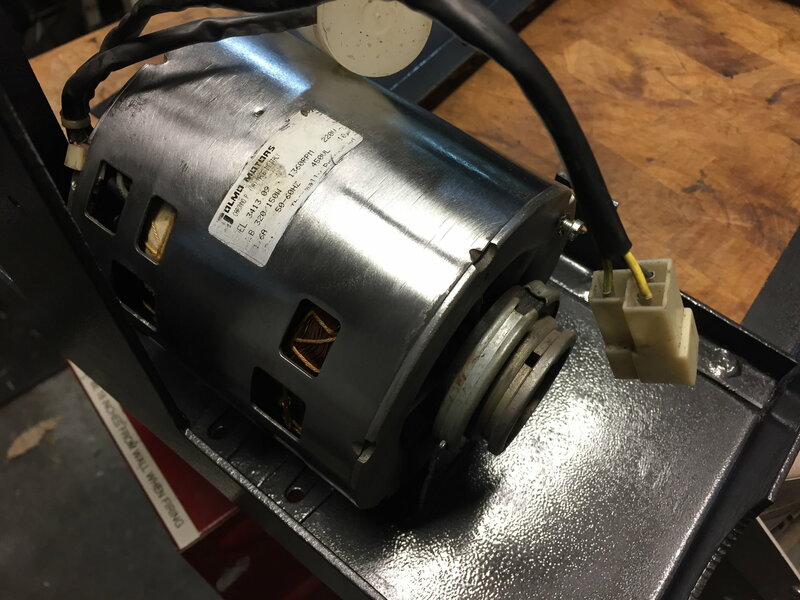 The USA, of course, uses grounded 240V. So, either lead + ground ==> shock. Both leads may well be necessary for a significant danger. You could add conduit, and some kind of cover over any bare electrical contacts, even if the cover is just partial, but blocks easy access. But, you're right. You can console yourself on a job well done, even if unseen. I like a free cuppa joe like anybody. Photo is a still from a video of Elektra factory. They still make this machine. I've seen pics of machines modded with acrylic side panels, so the temps are probably okay. I think I'd be nervous about electrical risk if the panels are totally removed. Anyway that call is a ways off. I'm only about 25% of the way through this resto. I have access to a laser engraving machine. Can give daughter an Illustrator file and have her use the machine at school. Thinking what can do with that as well. Last edited by jyl; 12-07-18 at 02:08 PM. Thank you! I didn't realize Gugificazione extended to espresso machines. What about an open frame with painted open-mesh screening where the panels would be? 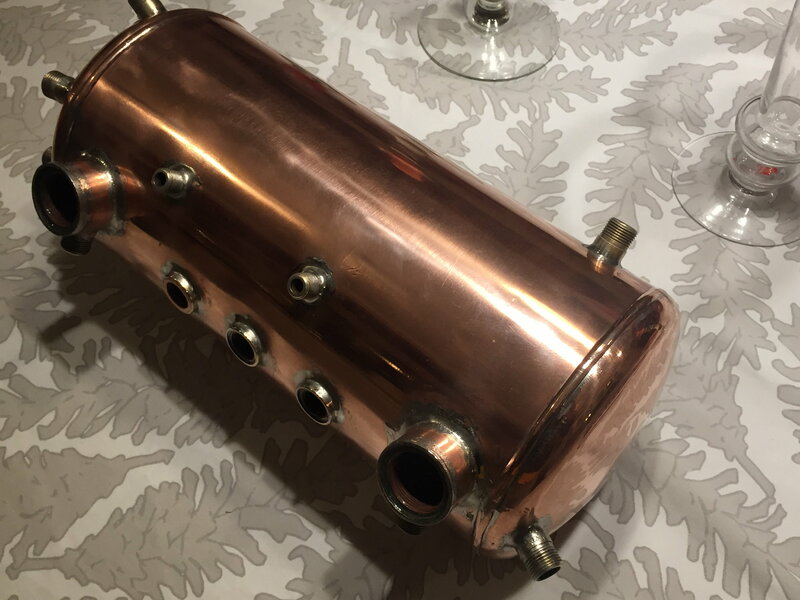 Should be insulated, offer some visibility to the innards, and would definitely carry the steampunk look. I might worry about 212°+ tanks and tubes rather than the electricity. Perhaps @gugie could braze up some expanded steel panels. It actually should be an easy project for almost anybody, although the tricky thing would be to design a mount that could be opened for cleaning (with adequate safety procedures for power and heat). Perhaps with that in mind, just leave it closed. The plexiglass does sound neat though. It may depend a bit on whether the back side will actually be visible and/or accessible.